Student Assessments, if used by your school, are the course teacher’s assessment of each student’s progress made at various scheduled stages through the course. Schools can customise these assessments a greate deal and print them out on their own certificates, so there is no fixed assessment form to fill in in ClassMaster. 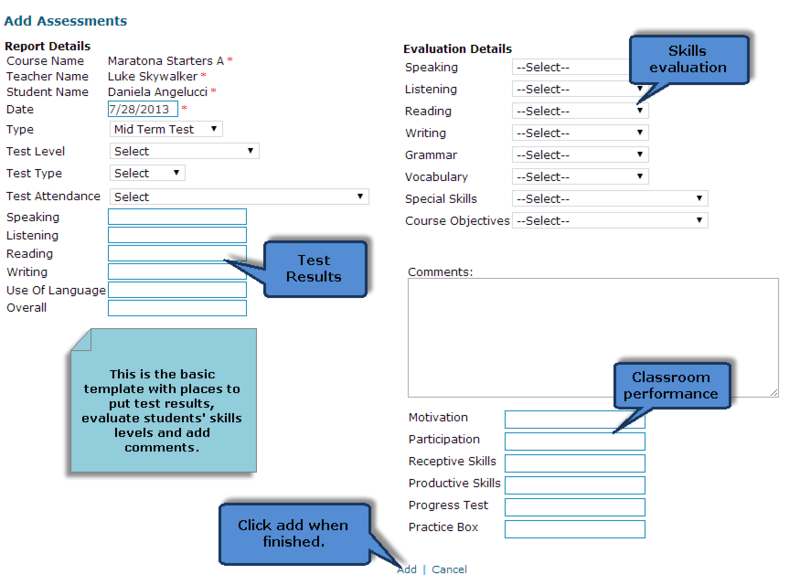 The following screen shot will show you the basic template for assessments but the fields your school may want you to complete is up to them.